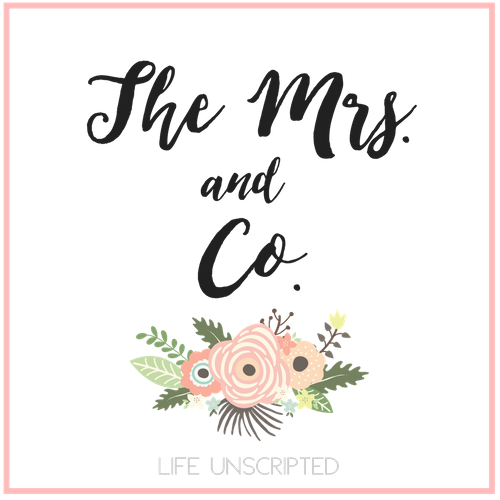 Mud Room Reveal - The Mrs. & Co. 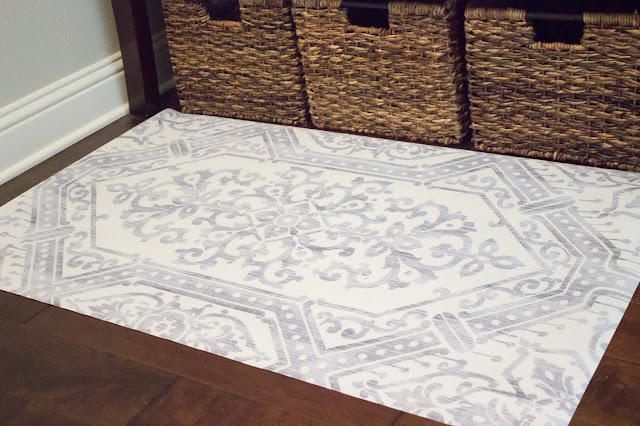 I am so excited to partner with Wayfair and reveal our mudroom make over! Whenever we renovated our house I knew I wanted an area to put the kids shoes and hang up their backpacks and diaper bag. I had them cut out a hole in the wall next to our closet under the stairs to allow me to put a bench. Now this area is small and honestly can be super messy and it's really just a place to throw your things when you walk in the door. Certain parts of our homes may serve a primarily utilitarian purpose, but that does not mean that they can't also be beautiful. Once we moved into this house I purchased baskets from Target to go under the bench to house shoes, toys, and bags. I love having the shoes downstairs. The kids always know where their shoes are and where to put them when we come inside. They also know exactly where to hang their backpacks after school. I love this rustic coat rack from Wayfair. 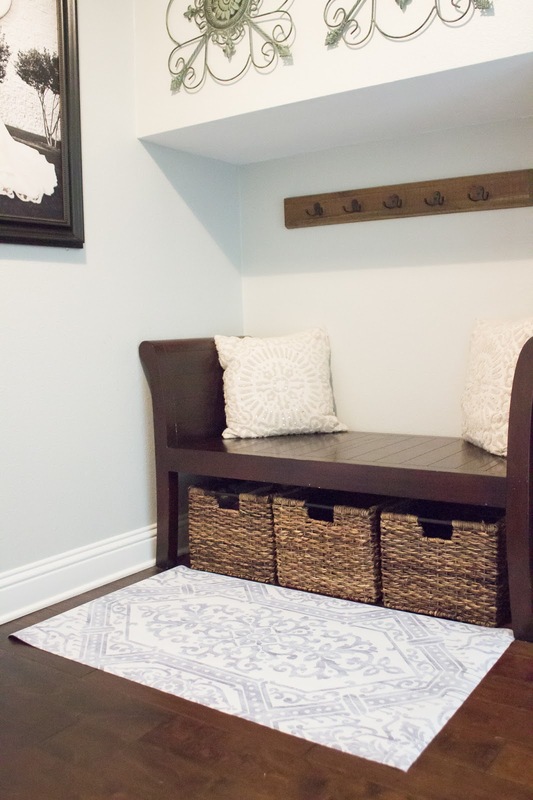 It's small enough to not overwhelm the space, but also has enough hooks for lots of bags. I also fell in love with our Elle Decor rug from Home Dynamix. The material is almost like rubber so if it does get dirty and let's be honest, it's going to, it's easy to just wipe right off. 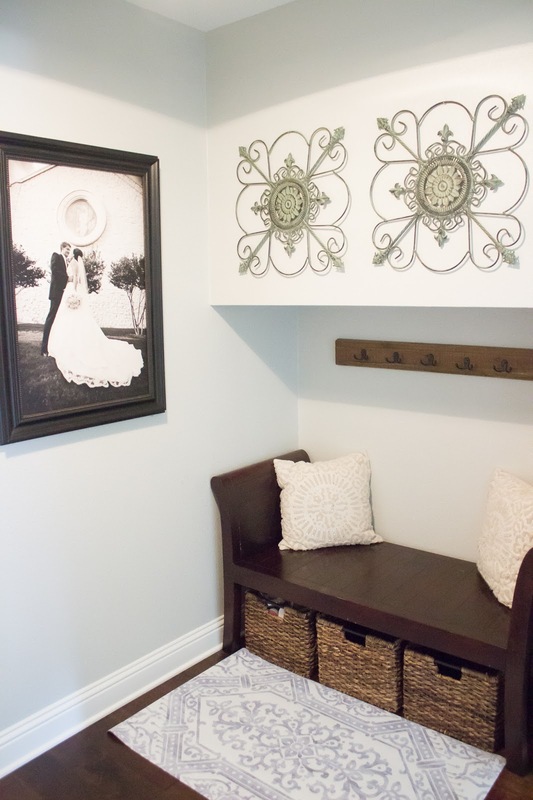 It gives off a beautiful, vintage vibe, but still does it's job of keeping our mud room area nice and clean. 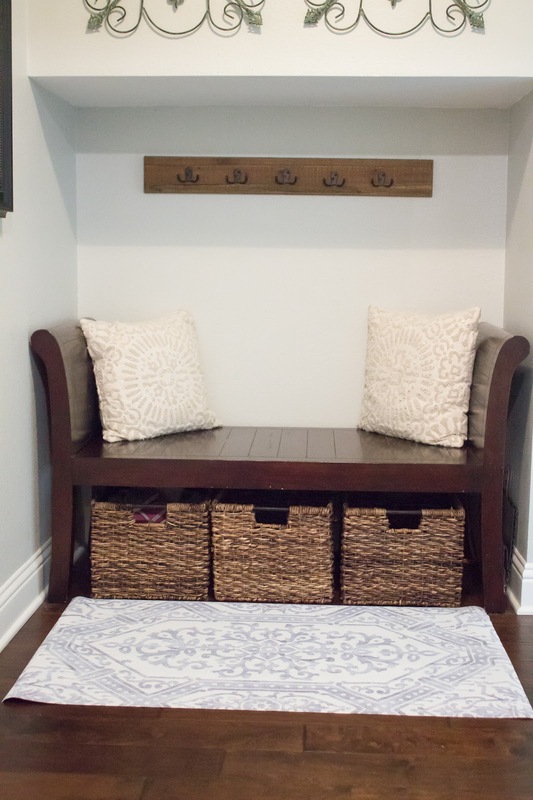 Throw some decorative pillows on the bench and you have a beautiful mud room that you won't mind looking at every time you come home. Be on the look out for our living room reveal. I've been working on it and I cannot wait to share it with you! Our house is slowly coming together and I love thinking about all the years of memories we will make here. I love it! 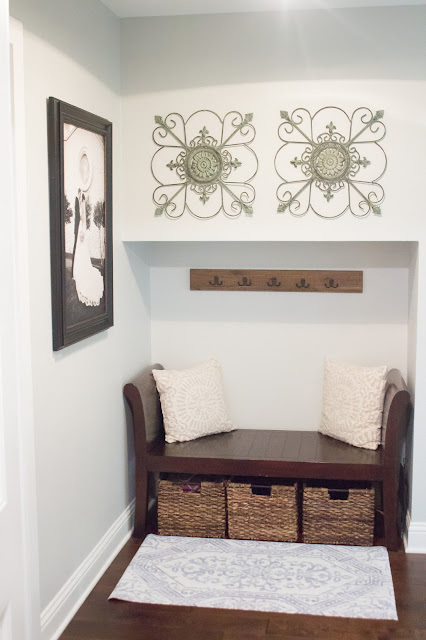 I wish I had a mudroom because it would be such a useful space!